Two things in life are certain. Taxes and Liberty Walk bodykits. You see supercars have always been a bit of a taboo subject in the world of modifying. They’re expensive, they’re rare and typically owned by people who turn their nose up at us mere mortals. So when an outfit comes along – angle grinder in hand – and literally tears apart factory-fresh hypercars before bolting big wheels and bodykits… well, it’s not hard to see why the internet goes a little bit mad for ’em. 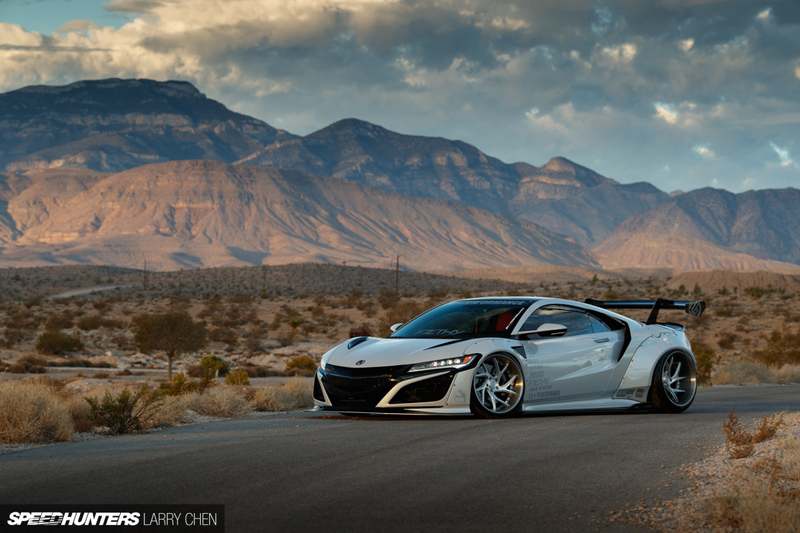 But what makes Liberty Walk creations so appealing is the fact they actually look pretty damn awesome. Sure they’re a little bit wacky at times, but ultimately they’re brilliantly crafted resulting in almost race-inspired versions of future classics, something bossman Kato-san has always tried to achieve since his early days riding around in Bosozoku gangs. So when he’s not busy making others feel better, J.J spends his own time and money making himself feel better with a little help from the automotive sector. In fact, his fleet currently includes a Liberty Walk Ferrari 458 Spider, a Liberty Walk Nissan GT-R, a supercharged Jeep and most recently a Liberty Walk Acura NSX! EVERYTHING looks better lowered, whether it’s a simple hatchback or an ultra-rare supercar. 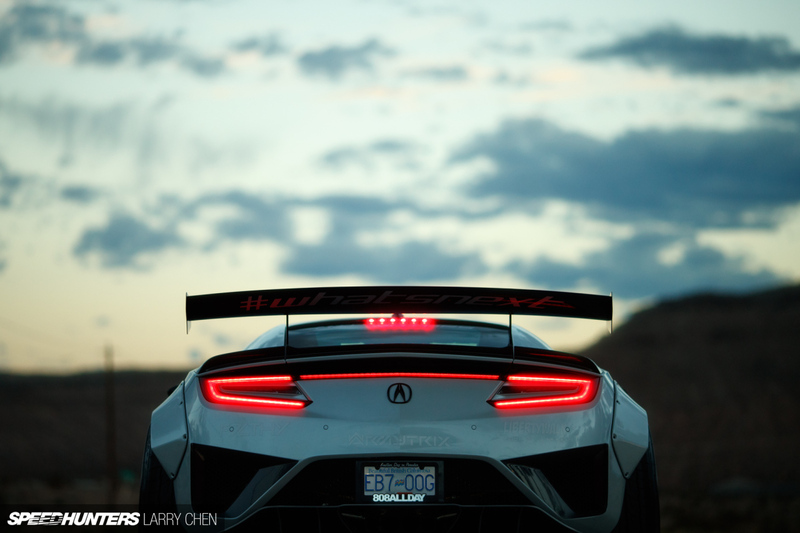 So when building the NSX ahead of its debut late last year @ SEMA 2017, J.J turned to Air Lift Performance and installer SerialNine to create a bespoke air setup complete with 3H management. 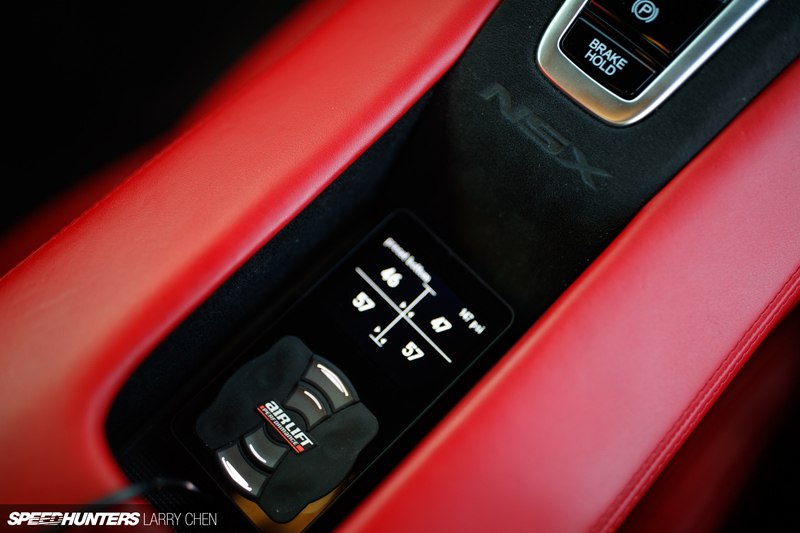 The end result is one of the tidiest installs we’ve seen while retaining a factory feel and performance on the road – something the NSX certainly doesn’t lack even from the factory.